While wood-warblers are a wonderful type of bird to watch they are not the only species making their way south each fall. Everything sparrows to shorebirds are moving through and it would be a poor birder indeed who failed to notice the flycatchers. 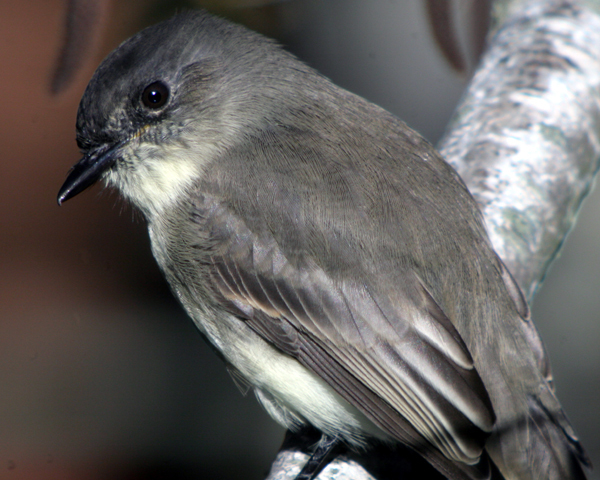 Though silent Empidonax flycatchers will certainly drive at least some birders nuts each autumn, Eastern Phoebes, with their pumping tails and occasional calls, ensure that anyone who is paying attention can put a name to the Sayornis phoebe that are pausing on their journey to the southern United States and Central America. 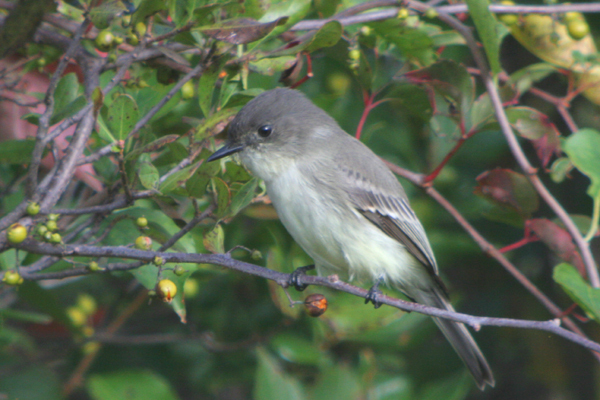 Their tendency to sally forth repeatedly for bugs from the same perch also enables those armed with digiscoping gear to get set up and shoot what I hope you will agree are some quality images. 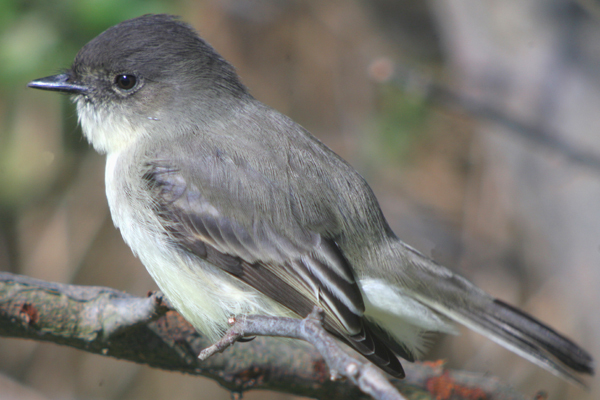 This post has been submitted to Bird Photography Weekly #58. Go check it out! Phoebes are tough little birds. 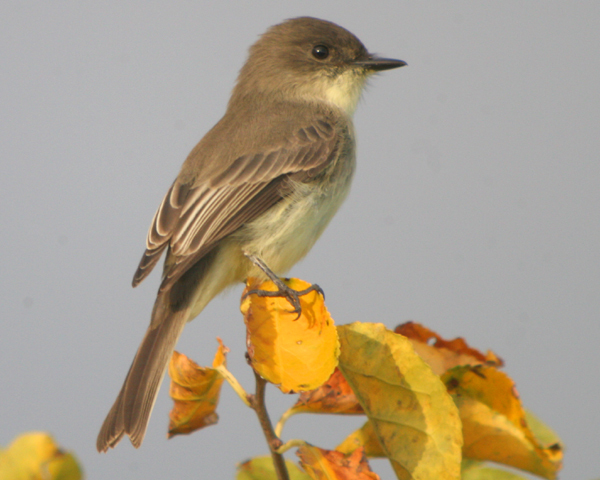 Here it is the 3rd of October and I had one Singing today at Cohoes Flats! I don’t know what you are talking about. 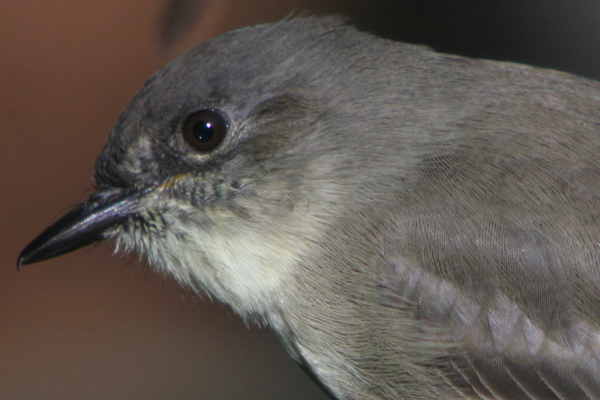 These birds surely are Asian Brown Flycatchers (Muscicapa dauurica)? Great photos, Corey. I can see individual feathers around the birds’ beaks. How cool is that? …that first photo is stellar! I love the gray next to the bright yellow leaves, such a sweet expression too. @Will: Aren’t they? I hope to find one on the CBC this year. 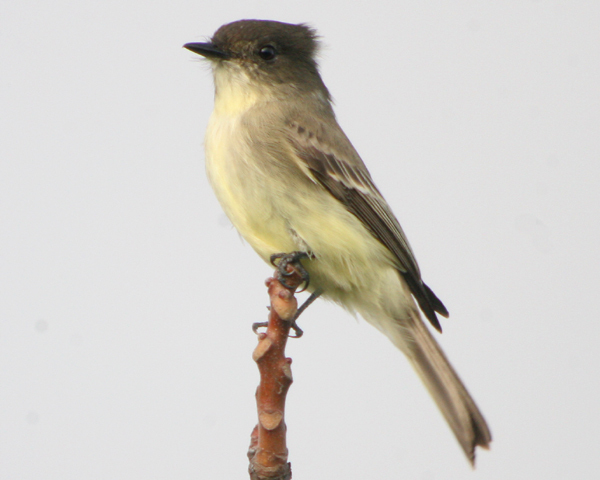 Sitting at my computer in the West Village yesterday morning (Oct. 5), I heard a Phoebe. A Village first for me, as was the B/W Warbler later that morning. 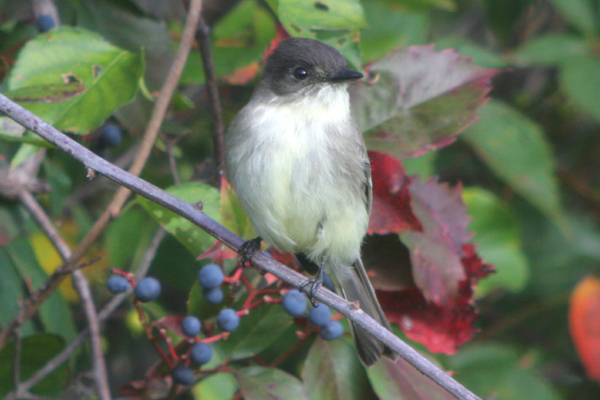 Great captures of the Eastern Phoebe Corey. That first image is absolutely gorgeous! Great light and color.